NGC660 is a mag. 10.7 8.3 X 3. 2 arcmin galaxy near M74 in Pisces that is 24 million years distant. 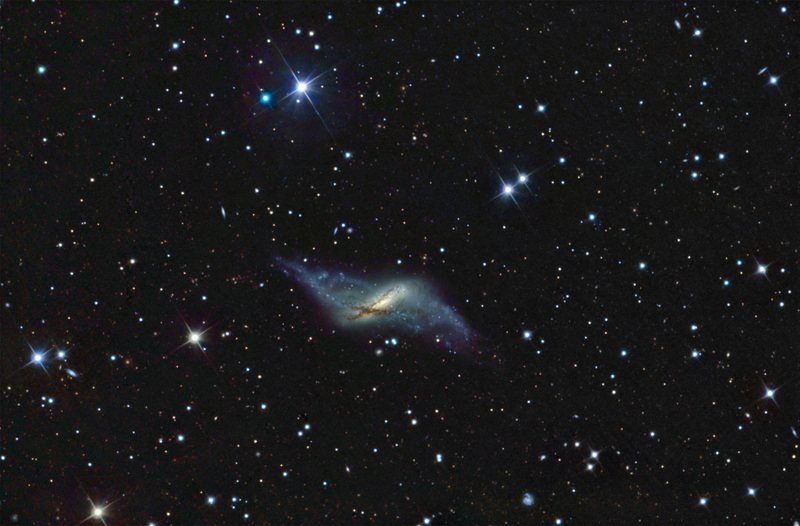 It is a polar ring galaxy resulting from the collision of two galaxies. North is to the left.